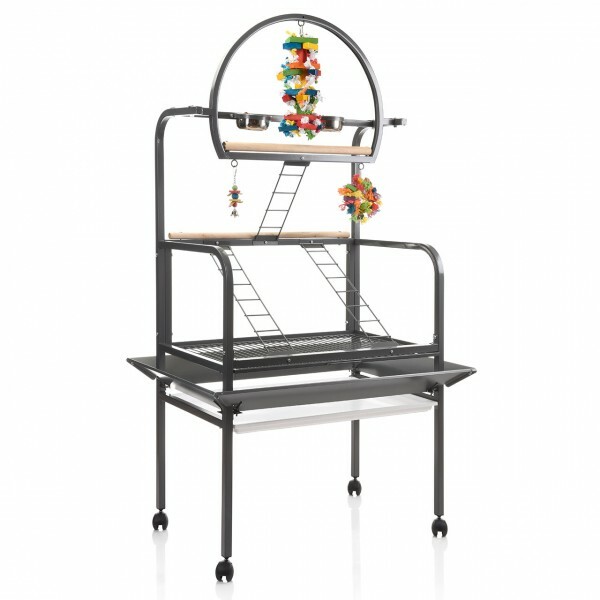 The New Sunlite Parrot Stand from Montana provides a wonderful 'out of cage' play area for medium and large parrots. links "Play Stand New Sunlite dark grey/antic finished by Montana Cages"
customer reviews on "Play Stand New Sunlite dark grey/antic finished by Montana Cages"
die quälität ist sehr gut. die lieferung kam prommpt. der aufbau war einfach.